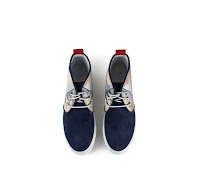 Del Toro makes a nice chukka. 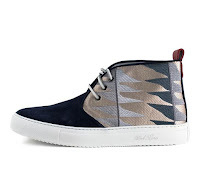 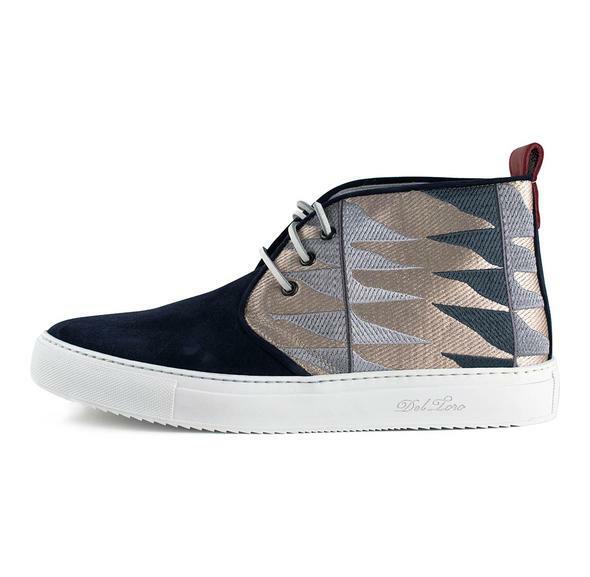 This latest collaboration with Brent Wadden keeps their chukka style fresh and fun. 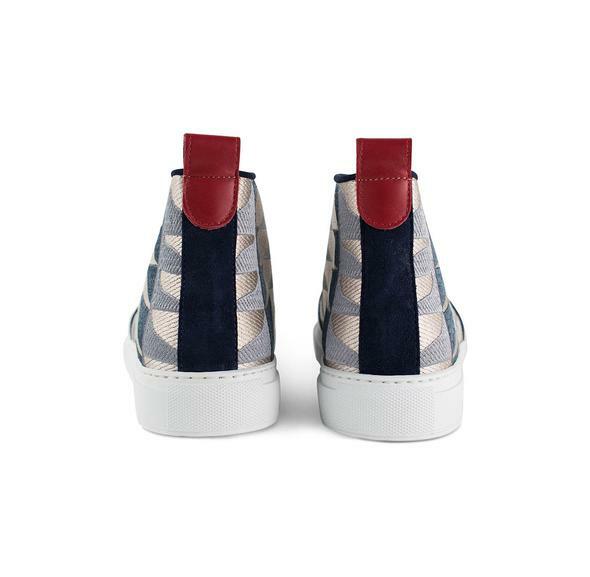 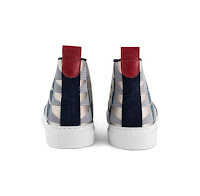 Still anchored to a sturdy white Kobe margom rubber sole with the characteristic red leather heel tab and full leather lining, this latest update features a blue suede front and back heel detail and a unique textile quarter from the talented artist/painter Brent Wadden. 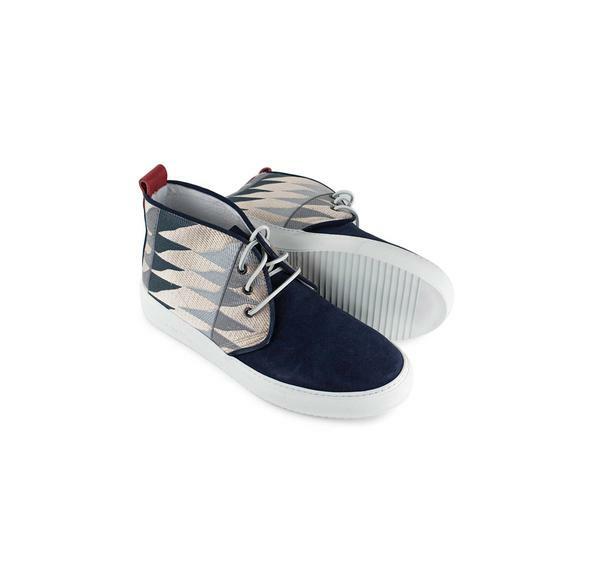 Play this up with some clever texture pairing and with fun suiting and/or distressed casual denim. 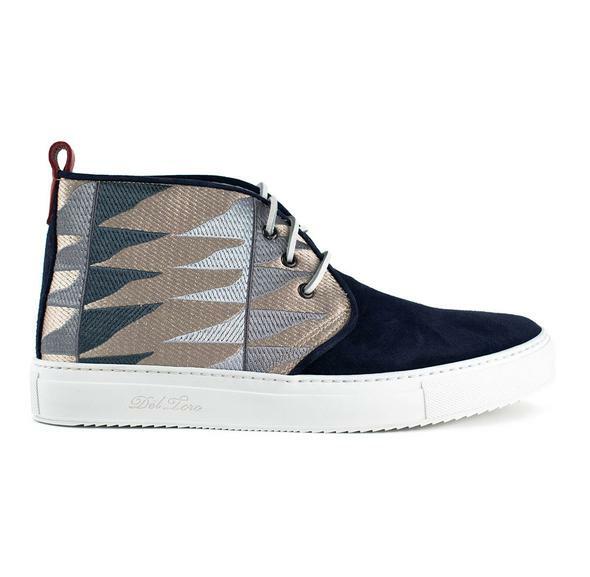 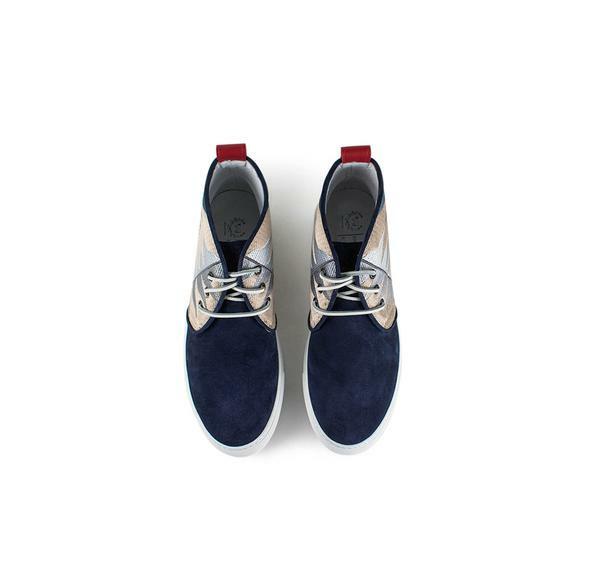 Available now at DelToroShoes.com.